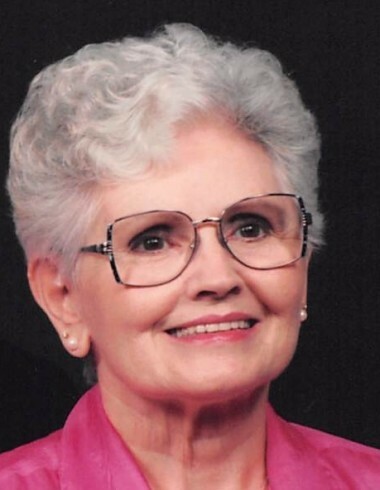 Martha Elizabeth Kendall Martha Elizabeth (Magoteaux) Kendall, age 95, of Troy, Ohio passed away peacefully on Monday April 8, 2019. She was born on the family farm in Patterson Township, Darke County, OH on November 8, 1923 to the late Albert M. and Elizabeth (Thobe) Magoteaux. She was preceded by her devoted husband of 70 years, Robert Kress Kendall, whom she married on November 23, 1944. She grew up in Osgood, OH and was a 1942 graduate of Versailles High School. Martha and Bob moved west of Troy in 1954 where they lived for 60 years raising their three boys and loving their grandchildren. She provided for her family in many ways, making clothes, tending a large garden and working for First National Bank in Troy. Martha and Bob square danced and enjoyed traveling. They were both very devoted to their family. Martha is survived by three sons and their spouses: David Michael & Jeanette Kendall of Vandalia, OH; Kevin M. and Nancy Kendall of Millersville, MD; Brian T. and Holly Kendall of Piqua, OH. Her grandchildren and their spouses are: Eric M. Kendall of Asheville, NC; Dana M. Kendall of Asheville, NC; Robert G. and Kelly Kendall of Crofton, MD; Kathryn R. Kendall and Timothy Daniels of Boston, MA; Helen M. Kendall and Nick Schatz of Baltimore, MD. Her great-grandchildren are: Chasya Yisrael of Asheville, NC; Claire Elizabeth and Reid Kress Kendall of Crofton, MD; Milena Kendall Daniels of Boston, MA. Martha was preceded by three brothers and five sisters: Elder, Ralph, Larry, Thelma, Rita, Dorothea, Whilma and Doris Ann. Her family is grateful to the loving caregivers at Stonespring of Vandalia where she spent her last few years. The family will receive friends from 9-10:30 AM on Saturday, April 13, 2019 at Hale-Sarver Family Funeral Home, 284 N. Miami St, West Milton with a funeral service beginning at 10:30 AM. Burial will follow at Miami Memorial Park in Covington. Online memories of Martha may be left for the family at www.hale-sarver.com.